Monday's presidential debate between Donald Trump and Hillary Clinton may be over, but the flood of reactions from supporters is just beginning. As a response to Trump's comment about Clinton not having "the look" or "stamina" to be president, Sia tweeted a short video combining her song "The Greatest" with a photo collage of Clinton. 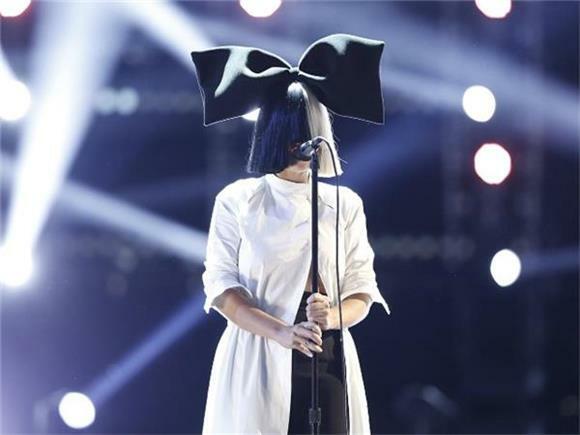 It's well known that Sia has been one of the many celebrities who have been vocal supporters of the Clinton campaign. You have to give her credit for pouncing on the opportunity to back her favorite candidate up like this (even though Hillary needed no help shooting that insult down herself).